How to become a copywriter with proven copywriting mentoring from Alan Forrest Smith. HIGH success rates with his total system. 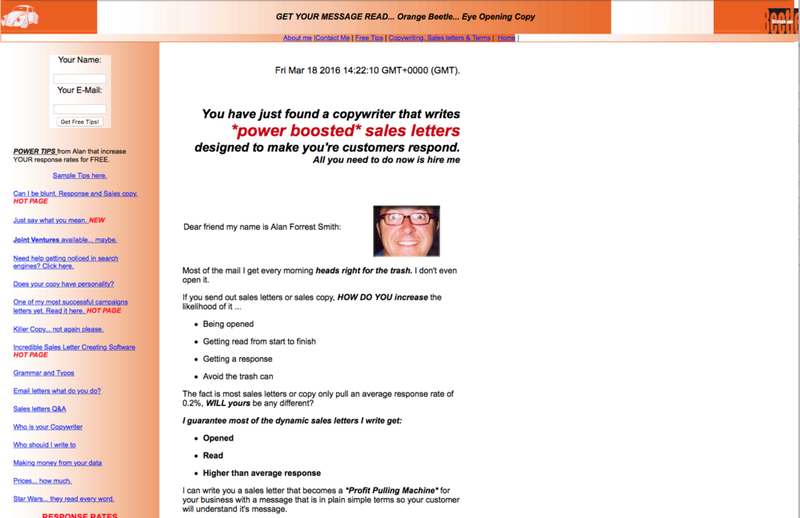 You Can Become a Copywriter with Alan Forrest Smith. This is a one-on-one, 24/7 availability over any phone or message medium for a period of 12-weeks. FACT: Not only is a copywriting the perfect skill to have but can be worked as little or as many hours as you want (the perfect part-time job). And - NO Experience Required. NO Office Needed. Part-Time or Full-Time. Safe Transition Explained In Step-By-Step Detail. AND critically important ... 24/7 ACCESS to me for 12-WEEKS! Believe me when I say I feel excited about new copywriters I work with. My three decades of experience and observations have REVEALED and PROVEN that change is not only heading your way but has arrived. Alan Forrest Smith here. I’ll tell you a little more about me further down this page and why you should listen to me. These are exciting times to learn the art and science of running a copy business. This is the exciting bit for you. There not only is a huge gap for good writers now but the gap is getting so big only NEW kind of copywriters will truly UNDERSTAND how to fill it, take over it and MAXIMIZE the AMAZING opportunities. This is just incredible news. This is more exciting than EXCITING news. 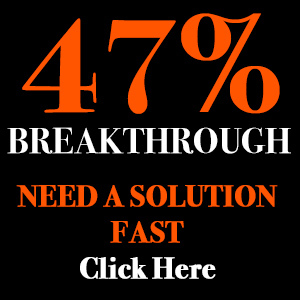 This is life, business, sharing and transforming a skill that can change everything now and everything FOREVER – FOR YOU! Now there are a ton of copywriting teachers out there today and I mean – OVERLOAD! So before you read my page you should know … You can get a lot of cheap teachers out there willing to ROBOTICALLY teach you how to write copy. Cheap COPYWRITING MENTORING makes about as much sense as Cheap Medicine! First, why listen to me ramble and rant on a page? UNLESS a copywriter is guided, advised, trained, mentored by a real, experienced, time-proven writer, copywriter, and consultant like myself – your life as a copywriter is not only truly dead but will never come to life! Here are a few facts about me. I was hairdresser for over 20-years. I wrote myself a CAR FOR CASH! If I need it - I write it! After three-decades of MEASUREABLE DIRECT RESPONSE … I think I’m allowed to say I have the magic ingredients and can support the claims what I say. If you are good it will no longer be good enough. I am going to take you by the hand and reveal things I never reveal about this world. Obviously the tricks of my trade and the incredible stuff I just don’t share. I will teach you about the ECONOMY and how it affects the MINDSET. I will show you what I do to create a perception of CLASS A, PRESTIGE AND PREMIUM services. I will show you how to build a business for LIFE and a business you can be PROUD of. And despite the reality that MARKETING HAS CHANGED, I am going to show you things that will make your TRANSITION so easy you’d wished you’d done MENTOR years ago. This is FRESH and NEW and EXCITING. 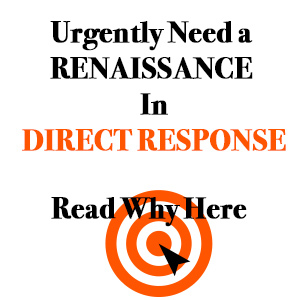 This is DIRECT RESPONSE TRAINING and copywriting like I doubt you’ve seen or gone through before. NO WONDER Copywriting trainers come to me. After all, I have been around the world six times flying FIRST-CLASS and lived a full, happy, exciting, sometimes unpredictable, happy, living, filled and rich life all from writing copy. And my big change was like yours when I walked away from my 17-year old three-salon hairdressing business and career to become a copywriter. I never once looked back. And you know what I realised when writing this page? Out of all the copywriters, I have met I don’t think there is ONE that knows, understands and has worked the business of being in business the way I have. Not only do I write copy – and I will share with you how – I have also created multiple of multiple of incomes streams related to my writing and I don’t mean a crappy copycat course that most copywriters want to create. If you are deadly serious about surviving, thriving and METAMORPHOSING your life in 2018 there is nothing like this out there right now. The INCREDIBLE ability to be able to create success from the stroke of a pen is a huge turn on. I swear every time I see that process in action after all these years it still leaves me BREATHLESS. Would you like to jump on board with me at your side and be trained to do something incredible, new and life-changing? I am going to show you how to HAMMER the economy and SMASH your completion with kindness and pure GENIUS. I train ALL of my writers to aim for £10,000 per project initially. Most will get the payment. I also trained them to increase that invoice. I also train them TEN METHODS to increase payments. £2000, £5000, £10,000 and many over £50,000 per project. BUT REMEMBER… this is nothing like and I work nothing like any copywriter you’ll find on this planet. I’d even go as far as to say the universe. I will show you EVERYTHING I know, support you, guide you, hold your hand, help you price up, quote, talk to clients … I will reveal and TEACH YOU EVERYTHING I know. You are getting the mind and the skills of a multi-million, best-selling writer that has been doing this for well over three decades. In the UK alone over five million businesses need that help and it’ll grow with BREXIT. In the USA it is over 300 million businesses. ALL need copywriters and good advisors. This year alone over 14,000 new businesses opened near me in Manchester – all need a copywriter and advisor! How many businesses are in the town or city where you live right now? Think about it hard because I can tell you every single one spends money on copywriters – FACT! You could be their copywriter of choice and I will show you exactly how. In fact I show my copywriters not only how to build their business but how to get high-end clients using my own personal system that has never failed me once since I began writing for money. They are already primed to pay for copy or consultancy skills. Around you right now in your local town or city are many businesses sat waiting to hear from people like you – copywriters and consultants. Then how to repeat the whole cash making process time and time again. Work the hours you want, when you want and if you want a day off to have a Game of Thrones binge (yes I’ve done it also) you can grab a day off. And one more thing: This is the ONLY copywriters mentor that gives a master course in advanced copywriting and consulting business – the only one. This was when I used to be a hairdresser. 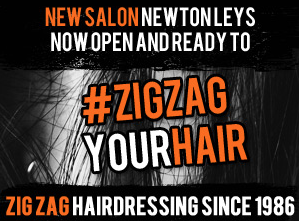 I was a hairdresser for over 20-years with my own salons in Cheshire. One day in my salon I was doing a haircut. The haircut was a man named Richard. Richard is an accountant with his own practice. During the haircut, Richard asked me a question. The question was this. He then looked at me strangely and asked me the second question. No money was agreed. I told Richard I would call them when I had written the letters for him. I was nervous. Writing for myself was easy despite my lack of qualifications. Writing for someone else made me extremely nervous. Finally, in between clients I sat and wrote his letters. It took me around an hour or so. I then called Richard to ask his address so I could put the letters on a floppy disc and mail them over. Two days later, Richard called me. He loved the letters but asked if the grammar would be fixed? I simply said yes despite the fact I had no idea what grammar was. I am not saying that with pride I am simply relating I was a hairdresser with zero formal education at this point. I knew an old school teacher so I asked her what was grammar and could she fix it. Once the grammar had been fixed I called Richard. Finally, he arrived at the salon. I was with a client doing a haircut so I had to tell THE client, I would be just a couple of minutes while I took Richard upstairs. Once we got into the small office I gave Richard the floppy disc with the finished letters and despite the fact no money had been agreed. Richard handed me a brown envelope of cash with £1,500 in notes for his letters. I can tell you I had never seen this amount of real cash at one time and certainly never been paid anything like that for ONE HOUR of work! Around a month later I had a call from Richard to tell me how well his mailings had gone and he would see me very soon. I Had Earned More from One hours Writing Than A Months Pay! In those days – 1995 – I was earning from my hairdressing business around £350-500 per week. It was good money then. Suddenly and shockingly I had been paid the large amount of £1,500 for one hours work. I wrote three A4 letters or around 900 words. My salon business was paying me £12.50 per hour. I had just been handed £1,500 for one hours writing that felt nothing like work! I REPEAT: £1500 for one of hour writing! And I knew nothing about copywriting, had never heard of the word copywriting. All I knew was I had to write letters to keep my salon business busy. I could now write letters for clients to keep their business busy. And the pay was ridiculous. After that, I never gave writing for others a lot more thought, as I was busy with my own salons at this time. Until that is I got asked again to write for a hair cosmetic company. Then I got asked if I could write for a car sales showroom. Then I started to have clients that had nothing to do with my salon walk into my salon and ask for a copywriter named Alan. Then I got asked if I could write for a car sales showroom. Then I started to have clients that had nothing to do with my salon walk into my salon and ask for a copywriter named Alan. Then a landscaping company got in touch. Then a solicitor also called me. There were, of course, many more in those early days. Then I started to have clients that had nothing to do with my salon walk into my salon and ask for a copywriter named Alan. People were now walking into my salon looking for a copywriter named Alan. My staff never had a clue who these people were asking for so I had to inform them that I had another business that I did part-time upstairs. This new accidental part-time business was now paying me more than my salons. By the year 1999/2000, I had been recruited to work alongside the great copywriter Michel Fortin. By the year 2001 I had to seriously consider selling my salons or dropping out of writing as they were both in conflict with time. By 2003 I had sold my salons and was writing for some of the world’s biggest best-known marketers and companies globally. By the year 2006, my copywriting business had become a full-time occupation. Now the next bit I am going to share with you isn’t to show off it is to show you what is possible despite having no training and no idea on the accuracies of grammar. By 2008 I had travelled around the globe around six times. Worked and spoken with the likes of Jay Abraham, Brendon Bruchard, Armand Morin. T. Harv Eker and literally a massive who’s who of business. By 2008 I had also met me own marketing hero Jay Conrad Levinson in Atlanta Georgia USA. We were to become good friends. 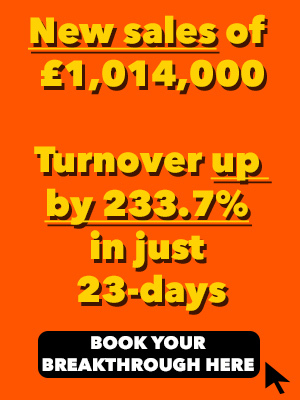 By 2018 I have sent out invoices for copy and strategy as high as £74,000 for a single job. When I was planning my proposal and marriage to my now wife Tamuna I did one small job simply to pay for the rings and the wedding in New York. Recently while in the gym I got paid £3,000 in advance whilst working out. Copywriting even saved my life – literally after a devastating divorce. Tens of Thousands in Real Cash Thrown At Me! I have been paid money that as a hairdresser I could only have ever dreamt about. I live and have created a life on my own terms. I no longer chase clients in fact I work only with one or two clients annually. This gives me more income than I could ever wish for. I have literally had cash thrown at me. Again I am not telling you this to show off I am simply telling you what happened. All the odds were stacked against me. I had no education. I was a hairdresser. I had no writing experience. I had no copywriting training. And yet somehow I ended up as a respected copywriter that has written for well over 400 industries, has taught well over 25,000 people has now run a mentor program since 2004 and has written literally dozens of best-selling sales letters whilst making some of my clients very rich indeed. I’m not sure so here is what I do know. I started writing blindly so I could get my salon busy. Someone saw what I was doing and asked me to do the same for his business. That grew and grew until it became my new life and business. Not really and looking back there was one thing I did that gave me the edge, the advantage and the key to becoming what others would proclaim a brilliant copywriter. You Can Learn How To Get Paid To Write - FASTER Than EVER Before Thought Possible...! Despite the fact, I don’t know you personally I will say yes you can become a copywriter based on what I have done myself. And not only what I have done what my students had done over the years. One of my students pulled off something incredible which gave him over $90,000 in just 12-weeks. Another got her first clients at an invoiced £2,000. Yet another not only got his fist client but charged that client over £4,000. All had one thing in common. All had no previous experience and all had regular jobs before they became copywriters full-time. There’s more I’d like to share with you and it’s this. In the UK alone there are over four million businesses. All of those businesses need a copywriter. In the USA the number is far higher in the tens of millions. I can show you how to filter through those huge numbers and find clients that will happily pay you more in a week that you could ever earn in 6-months. Or I can show you how to replace your wage by getting paid to write. Or I can show how to get paid a decent amount working part-time when and how you want. And it isn’t as hard or as tough or as complicated as some might tell you. All you need is this. A mentor that can take you a faster route otherwise it can take years and years. A mentor with real business, real copy, real training experience. And these days you don’t even need a website. It’s my opinion that service website formats have changed dramatically so you can get this started with a simple Facebook page and started in hours. I’m more than happy to share with you how I did it and how you can easily become a copywriter. How Working With Me In Copywriter Mentor Can Easily Change Things For You? This is very personal between just you and me. I rarely work with more than a handful at any time in any year so what you get is very bespoke with all of my attention. Once you sign up you will be sent over a schedule for 12-weeks dates and all the other details you need to know. You will be sent a small list of books that you should keep for reference. You’ll be sent some specialist training with myself on DVDs from a detailed Copywriter’s Masterclass two-day session I delivered to a class of 27 students. An initial call will be arranged over Skype. Your training dates will be booked in over Skype for us to meet and start your training. You need to set aside just 2-3 hours each week. Most of my students steal this back from their TV time. Here are the kinds of things you will learn over Skype during your mentoring. In fact, everything you need to know about a copywriting business, I will share my 20-years plus knowledge with you during your mentoring. And you might or might not know this… The number one problem all copywriters have is finding clients. The training I will share with you is so advanced, so specialized and so unique that you cannot fail to get hold of any level of client you need. You will learn a strategy I have used for years that has never once failed to bring I the perfect clients! But apart from that, there are of course literally hundreds of clients around your home where you live right now waiting to hear from someone that can help them get their copy written. £10,000 INVOICE: Recently a new copywriter on my program did something that he has never done in his life. He sent out an invoice for £10,000. This guy is used to sending out invoices for £250! When he first came to me to be mentored I had to help him price up a client. His price was around $400 USA. I showed him everything I know about getting paid more. He then sent out his invoice for £2,000 and got his new client. He has left his job and is now a fulltime copywriter. BIG CLIENT: Another mentor copywriter client of mine really wanted a big hit. He was also starting from scratch so he had a lot to discover about how this business works. His client was big and I mean very big. He wanted me to show him how to get this one big target as a client. I doubted to be frank but we put together a way to do this. The client was a BMW garage. So my mentor student did exactly as I showed him. We refined the campaign until it was right. He got a call from the client to go for a visit so they could discuss their needs. He now works part-time as a copywriter. FIRST BIG CLIENT: A lady came to me after being made redundant from the bank. She became a mentor student of mine. After just eight weeks working with myself she had made more in a single day than she used to get paid in the bank per month. The first invoice she sent out to a client with my help was for £1,995. The client agreed and within just 8 weeks of starting her mentoring she had pulled in well over a months previous wage. She now works as a copywriter. $90,000 BANKED: This mentor student flew from Sydney Australia to work with me. His fee and his travel and accommodation cost over $25,000 AUD. This payment was all on loan. Within 12 weeks of working with me as a new copywriter not only had he invoiced well over six-figures but he had taken in and banked over $90,000. He now works as a fulltime copywriter. I will tell you these guys all had one thing in common with myself. They all get paid for writing and all can take their skills and their office anywhere in the world at anytime. YES, YES, YES, – being a copywriter can change everything for you like it did for the guys above and myself. It can give you whatever you need in life. Not all new copywriters make a ton day in day out but you can easily replace your income and create Just imagine if you could change everything in your life over the next 12-months. Then imagine yourself doing what you want, having the freedom to do what you want whilst getting paid to do as you want. Does that sound perfect? That’s exactly what I have done for years and show you how you can copy what I have already done before you. I have travelled the world and been paid massive amounts for writing words. In fact I have probably been paid more in a week than you have been paid in a year… I can show you how you can copy how to do that! Don’t worry I also started from scratch as a hairdresser to copywriter like I mentioned above. 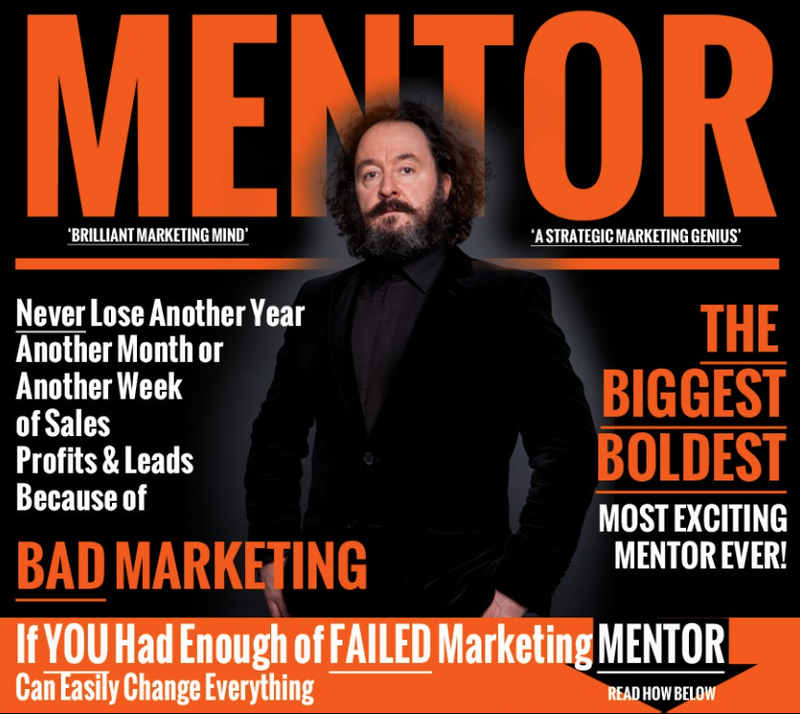 I understand huge changes and will show you how I went from start-up copywriter to writing for the likes of Jay Abraham in months and many other huge direct marketing experts including the genius Jay Conrad Levinson. I’ll guide you. I’ll show you. I’ll teach you. I’ll inform you. I’ll mould you. I’ll give you everything you need to copy the very-fast copywriting success I personally achieved and have today! How I became the number one choice for copywriter for high-spend clients and how you can follow my paths to high-demand! So how is your life or your job right now? Do you feel you need more from your life? Are you sick of doing the five-day week with long hours? Are you done with the long drive into the office or wherever you work? Do you like the idea of having an ability to slowly (or quickly) start a real high-demand business where you can potentially get paid as much as £1,500 per hour? Do you like the idea of working the hours you’d love to work? How does the idea of going out and paying for cash the latest Apple mac computer or just having the time and money to relax a little more knowing you can top up your cash with another small writing job when and as you like to? Writing Copy Can Be The Best Job In The World! Like I have already said there really are a lot of really good and very happy reasons you’d love being a copywriter or having the ability to create really strong copy. Copywriting gives you freedom and a lifestyle that will bring you admiration and fame! How do I know you can get that? Well, the above is a snap-shot of my own life and if it wasn’t for writing copy and getting paid very well for writing words, I’d probably still be a tired, worn-out, unfit, back-broken hairdresser praying for retirement. My life has been designed, my income has been designed to support the life I want to live and … to give clients results that they cannot survive without. Is that what you’d like? An Incredible Opportunity To Be Mentored By a Leading Expert … Is this a perfect opportunity for you? 50% down and the rest on plan. Now that is a hell of a lot of cash so what will you get for that large investment? First, what can you actually buy with £11,995? It won’t buy a house. It might buy decent used car that depreciates fast and after four years is worthless. It might pay for a family holiday once a year and then you have to find another £11,995 for the next holiday. It would never cover the cost of a wedding (if you have a daughter). It wouldn’t pay for a decent extension on your house that’s for sure. And on eBay you can buy some pretty strange collectors things for that price and more but lets face it they lie there as part of a collection and that is it. With mentor you get a skill that not only is with you for life but is a skill that could transform your life, your income, your daily everything and also give you the ability to earn literally anything you want. How does a check for £74,000 sound? How about a check for £5,000 five times a month? How does a payment for life sound from your clients? How does the sound of £50,000 for 90-minutes work? That is the depth of highly skilled detail you will discover on MENTOR. And I want to say this – In my experience no one does or can reveal the information I reveal because they simply do not have the experience I have. Let me ask again – do you think copywriter mentor is good value for money? I only want you to commit if you feel you can spare a couple of hours weekly, you promise to go through the DVD training and you commit yourself to learning. I only want you to commit if you understand I cannot save you or your life I can only share with you what has served my life over a couple of decades for a greater good. I only want you to join me if you need change, want change and are happy to copy everything I share with you and practice what I teach you. After 33-years in business and 14-years of mentor I do not offer a refund of any kind. My reputation is long and strong and even acclaimed by experts time and time again. I know what I teach works and has worked for many students of mine over the years. I know what I teach has built me a life that others would just die for. I know the information I am going to share with you could change your life because it has changed mentor students lives over the years. It is highly valuable training; life training and the kind of training you simply won’t get on any average copywriting course. And by the way – I deal with dozens upon dozens of copywriters that have trained with other trainers and still cannot build a business so they come to me to crack their own business code. A: I had someone ask me if I really get AWAI (the Holy Grail) copywriters coming to me because they still cannot build a business AFTER completing their course? The first answer is yes that is true – 50% of my new writers have also done AWAI yet still, cannot build a business. So here is the rest of the Q&A for those wanting to GET PAID TO WRITE. A: Yes I show you how to get clients but not the way that you might have been taught. I teach my guys to charge well and serve well. This takes a different approach to getting clients but the same tested approach I have used for decades. A: Yes I show you how to deal with clients. Dealing with clients can have it’s moments yet I have been dealing with people one-on-one since 1982. I can show you how to deal with everyone you deal with so you have no fears. A: Yes I show you how to close clients. My new copywriters are usually blown away when I show them my responses and briefs to clients. They are very long, proven and ultra-effective when it comes to closing the deal. I will give you samples you can use in your new writing business. A: Yes I will show you how to quickly create a writing business that could replace your current income. I have a new writer that went on to generate over $90,000 within 12 weeks of his mentoring. I will share how he did that and how you can copy what he did. His story is below for you. A: Location isn’t a problem. Most of my new writers are based in the USA, Australia and other distant places. Distance I, not a problem. We simply set up times to suit you. A: Yes I can do your training short or longer. This affects the fee of course. If you need mentoring for one month or for one year we will price accordingly. A: Yes you can call into my offices, or arrange a call to answer any questions you might have. Any more questions on getting paid to write please ask. Remember space is very limited so if this is for you take action fast. And don’t worry I will be holding your hand every step of the way. Mentor How To Become a Copywriter Starts As Soon As You Are ready To Go! YES YES YES Alan – I am ready to move forward. I want everything and more that you talked about in this letter. I am convinced you are the mentor to help you with my goal of writing a new life. I understand everything you said above and I promise you I will do my very best to be your best student in mentor ever. I would like to book myself in right away so I can write myself a new life and create a stronger future for myself. Can I be one of your mentor students please? An initial call will be arranged for around 20-minutes so you can ask any questions you might have or you might simply want to book. Payment is required to confirm your place. Bank transfer or card can be taken over the phone. I do of course accept cash! I am very excited to be helping you, guiding you and teaching you to write your new life. Rest assured I will give you 100% and more of my attention, my skills and my highly prized knowledge. Here is to your wonderful future and your next 24-weeks working at my side writing and designing your new life together. Ps an upgrade mentor is available that runs for the full-year as a profit partner… ask about the details if interested. First before I share more let’s see what previous MENTOR guys have said about working with me. And so much more over 12-weeks and now the ongoing support. And now, finally I am on the final stages of establishing myself as a Consultant – Copywriter. Something I have been pondering about doing for the last 5 years. But never had the guts to transition from my dull 9 to 5 day job to my dream as working for myself. Thanks again for helping me to find the courage to do this. I don’t know about you, but being a freelancer in any business can be lonely at times. Even more so as a copywriter… why is that? I mean who would want to lock themselves away from life for hours, days, weeks, even months at a time trying to understand every type of business that comes across our desks. Most business owners don’t appreciate the time and brainpower that goes into a campaign that sells. Sometimes we can get lost in our own business… and that can be costly. That’s why being involved with Alan is a smart investment. For example… during the mastermind weekend, I was getting advice and solutions to a specific problem in my business and a way to solve them fast. Mentor has given me plenty to think about, and a precise plan of action to ensure I get there. Plus and this is a BIG plus – copious amounts of espressos were consumed! I met Alan 2 years into my sales copy career. When we talked first, I was struggling to find work, lurching from one low paying client to another. And getting no attention, results or reputation. One hour with Alan was not cheap-but the results spoke for themselves. I still consult with Alan and get his input on how to boost the conversions of any campaign I’m working on. He has played a key role in my journey to freedom, no more 9-5, living life on my own terms, and getting paid what I’m worth. The Mastermind reinforced and built on my learning during your MENTOR program. I value your advice, suggestions and feedback. The rest is now down to me. For many of you who may be considering entering into a mentoring arrangement with Alan, please allow me to help clarify what may be ahead for you….and for your life…. If, like I was only 6 months ago, you find yourself at a crossroads in life where, for the first time, for maybe one or a multitude of reasons, you’re experiencing the desire to make significant and long-lasting changes to not only what it is you do for a living, but how you live and the reasons why then Alan is the answer. From our starting point together just a few months ago, Alan and I have created a magical and highly productive bond together, one that has allowed me to create a new direction in my life, and to approach that direction with certainty and the belief that I can achieve what it is I desire. Rest assured, nothing is ever achieved without a lot of hard work, commitment and strategic thinking. For my own experience, Alan has been instrumental in bringing out the best in what it is that I want to achieve in my business life…by bringing out the best in me. Yes, it’s been a journey of detailed emails, early morning and late evening conversations, and strategic thinking together, all in a respectful and non-judgmental manner. The results have been incredible for myself, as I’ve experienced and created a new business path, including what I now want to do, how I want to do it while believing that I can achieve the lifestyle and life results that for far too long eluded me. The possibilities ahead of me are endless and I believe highly profitable. But, I must say, be ready for it, because if you do what it takes, and follow his recommendations, the journey will be transformational and unforgettable! All the best to you….here’s to your future! As a result of my association with Alan, I am a much better copywriter than I ever thought possible. My writing is on a much higher plane and I can produce sales letters and adverts now which are far superior to anything I’ve done in the past with this new knowledge that I’ve gained from him. For me, it was well worth it. After we were talking on the phone the other day I got to thinking about the last couple of years since we first met… and about what being trained by you has done for me in that time. 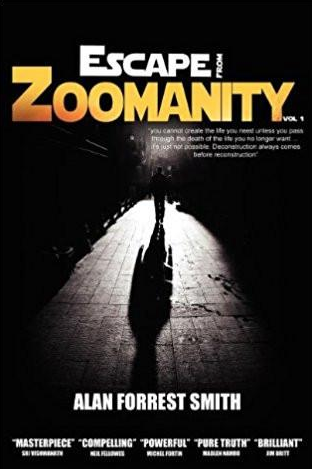 It’s pretty crazy and amazing really so I just wanted to share it with you in writing so that if you want to share it with others you can… and they can get a real insight into how great of a bloke you are and how you’ve got the goods to help them too. I’ve a lot to be thankful for as a result of knowing and being mentored by you and I know they will be too if they take the chance to attend one of your programs. 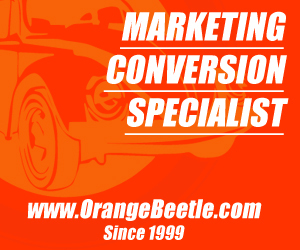 Obviously when we met back in 2005 I was a complete novice when it came to advertising, copywriting and marketing – I knew nothing. The first material I’d literally ever read on any of those topics was the material you and Brett sent me as a thank you for signing up for the Advertising Masterclass. You couldn’t find someone who knew less about those topics than me. As you know, I left at the end of that weekend of the Masterclass with you certain I had everything I could ever need to know to make a fantastic living writing great ads and creating successful businesses using it. I assured you I’d be a success as a result. To keep this short… here we are in 2007 and looking back in hindsight I’ve been through a lot, achieved a load and have a lot to be thankful for as a result of everything you’ve done for me. You know that within 12 weeks of the Masterclass I was working with some of the biggest direct marketing entrepreneurs in Australia… as well as doing jobs for you and your clients. And I remember our chat when I had lined up $90,000 worth of work in those 12 weeks too. Life was phenomenal for me… couldn’t stop smiling and laughing about the cash on offer and all the while I’m working when I want and cruising down to the beach for a swim and relax with my mates on weekdays whenever they were free from their 40 or 60hr/week jobs. Less than a year later I’m heading over to England on your invitation to speak at your next Masterclass. I knew I’d earned it because of the hard work I’d done but couldn’t believe I was flying across the world to speak beside you at your seminars. These days I’m working with entrepreneurs and businesses across the world, Australia, the U.S, the UK making great money (one job I’m about to start is making me more in 4 days than I’d get paid for 2 months of work in a top business firm here in Dublin)! ventures with partners overseas as well as just having launched a new company with a business partner in America that’s going to be super-profitable for me. But more importantly than all the business success I have to thank you for, it’s the freedom in life that’s the true gift. I have a freedom in my life that most people will never have. You know I love doing my martial arts training. I’ve been able to go to Japan to train several times in the last few years and could literally go and live there if I wanted because I can set up my business anywhere and work from anywhere. How many people can do that? And most important, as you know I was just recently able to relocate overseas to live with my girlfriend with very little hassle. How many people can do that? How many people can do these things, literally just up and move their entire lives overseas without it affecting their businesses at all? Well I could and it’s thanks to you more than anyone else. Almost everyone I meet who asks what I do, thinks my lifestyle sounds awesome – many are straight up jealous. I tell them they could have it too, they just have to do what I have and find someone like you who knows what they’re talking about and really cares. I could go on for ages but you know the deal. Like everything else in life, business is a game that has it’s up and downs. It’s no secret that the most successful people in life have failed more times than they’ve succeeded. A large factor in creating that success is who they’ve got beside them as mentors and allies. I wouldn’t have it any other way than having you beside me as mine. You’ve been there for me over the last couple of years more than I ever expected. When I’ve needed help, advice or guidance – I’ve got it. When I’ve suffered a setback and needed a friend who understands what I’m going through – I’ve got it. And when I’ve had a major success or achieved a goal – I’ve got it. All from you. I simply can’t say thank you enough for that. On top of all of this, what’s even more amazing is that in working with you, I’m still learning from you every time we talk… even after 2 ½ years. (If that’s not proof of how much you know and have to offer then I don’t know what is). I’ll wrap this up now as it’s already too long. I wanted it to be something others could quickly read and understand that you’re a class act all round… as a copywriter and marketer, as a business teacher and mentor, and more importantly as a person. I consider myself VERY LUCKY to have had the benefit of both learning from you and working with you. I consider myself very lucky to have had the benefit of both learning from you and working with you. And even more so I consider myself lucky to have you as a friend. I’m an on-going MENTOR student of Alan’s. I had to fight back the ‘I cant afford it demons’ and go for it because I knew if I wanted real fast track change with my hair salon I needed to invest and spend time with someone who had been there done it. Alan’s strategies and advice with guidance and fun along the way took my business to a 52% rise in one year. With Alan’s support I made the changes and STILL made the 52% growth. Alan wants you to succeed. He really does. When you work with him he’s not just a consultant, he’s on your team every step of the way. The key thing is that he has proven tools and experience in his armoury to help you discover your niche marketing weapons that will bring in the ‘right’ customers, business and lifestyle. It’s definitely all about you and your life success with Alan. And the business; It’s not all about numbers – its about targeting. 10 laser-targeted prospects is far better than 1000 who are ‘generally interested’. Alan has the talent to uncover the true needs, language, and images that go thorough your customers minds in my mind, there’s no one better, he delivers every inch along the MENTOR training!